While we often plan trips with family and friends, many benefits to traveling alone often go unexplored. We get involved too much between work, school, family and friends and our extracurricular activities and our lives become hectic. Therefore at one point of time we all just want to be away from our daily schedule and be alone, which can reboot our brain and unwind, improve concentration. So taking a trip on your own allows you to focus solely on yourselves, your wants, needs, feelings and it helps you to clear your mind and put things into perspective. Travelling with family and friends can be fun but you will have to follow what the others are doing and which sometime you don’t feel like doing it. 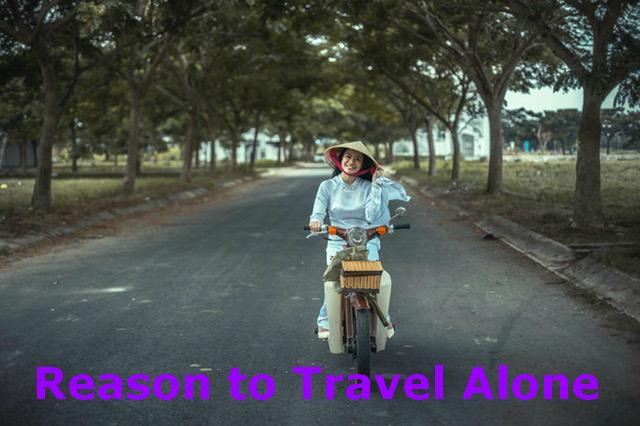 Like what time to wake, where to eat, what sights to see and what activities to pay for etc., but when you travel alone you’re able to control your own itinerary, make sure you don’t miss out on a single sight, restaurant or activity. You can do what you want to do 24/7. You can stay within your budget. Money is always a pressure point when it comes to travel; everyone has different habits and attitudes. It is much easier to figure out your budget for a trip and plan accordingly. It’s simply much easier to create your own budget and stick to it rather than overspending because you travel with someone with expensive taste. Travelling alone can be scary especially when you are not familiar with the places. But sometimes when you stop at a coffee shop or travel in a local transport you tend to meet many people where you can always ask for suggestion where to go next. If you‘re in a foreign country try to find spots that are popular with expats, sign up for cooking classes or museum tour to meet people with similar interest. There will always be people trying to stop you to go alone specially your family member who are worried for your safety. They will call you crazy. Don’t fall a prey for that and you don’t have to prove yourself to anybody. A trip alone is about proving yourself how strong and capable you are. So boost your confidence and see how much you can achieve. The trip will make you more independent. You don’t have to rely on someone else; you know you are capable of solving any problem. Taking a trip by yourself forces you to make all the decisions, figure out your own directions, be your own tour guide and deal with your own problem if they arise. Sometime you may plan a trip to find out how to find independence, feel free and be some time alone. Travelling can open up a side of yourselves that you never even know existed. Solo travel forces you to be aware and see the world around you and not only look at it passively. Truly experiencing life requires taking the ride yourself, No one can live your life for you and no one else is to blame if you die unfulfilled.